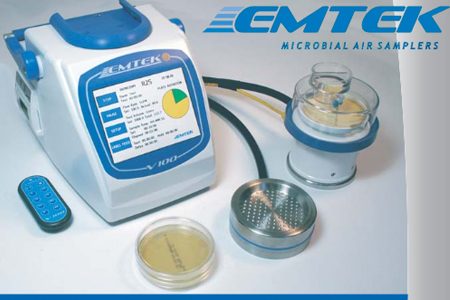 The EMTEK line of microbial air samplers were designed to operate in a variety of Critical Environments including LF Hoods, Isolators, Fill Lines, Bulk Production Areas and Compressed Air / Gas Systems. They are also practical for use in almost any other challenging environment(s), notwithstanding. Their streamlined design and virtually particulate free materials afford minimal disruptive effects on the critical environments in which they may be used. 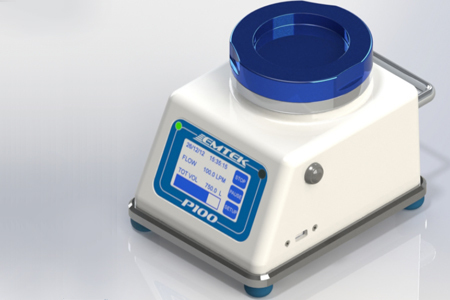 Based on USP  Guidance, to be effective May 1, 2008, Air Viable (microbial) particulate counts are required along side Total Air Particulate counts for Sterile Compounding Facility Certification. With the R2S or RAS Air Samplers alongside your total air particulate (laser) counter, you can meet both of these requirements. With the R2S, or RAS you can monitor bulk production, or support rooms (i.e., ISO 7 and ISO 8), as well critical ISO 5 environments (i.e., Rooms, LAF Hoods and Isolator Barriers) with the knowledge that you won’t add additional contaminants to that environment. Long Battery Life: >12 Hours!